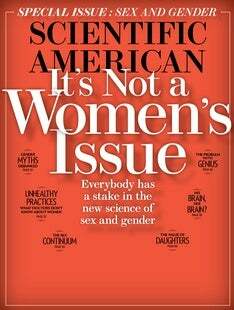 As a young girl, I was lucky to never explicitly hear that science was not for girls. Instead I was encouraged to build soccer-playing robots, to set things on fire, and to spend hours gazing through microscopes and telescopes. And yet I was still scared away from science as a career by the constant, subtle insistence from all around me that my purpose was not to be a scientist but rather a wife and mother—as if these things were incompatible. The implication was clear: no matter how many degrees I might earn, I was destined to give up.